Warm tortillas according to package directions. Spoon about 1/3 cup bean mixture into center of each tortilla. 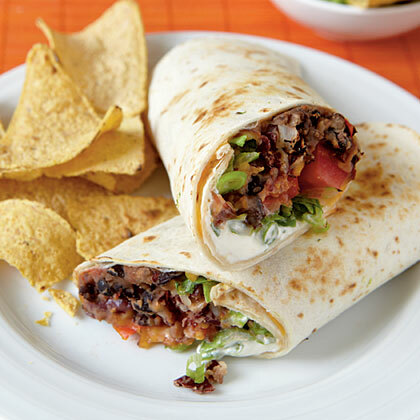 Top each serving with about 2 1/2 tablespoons cheese, 1/4 cup tomato, 1/4 cup lettuce, 1 tablespoon onions, and 1 tablespoon sour cream; roll up.